Anyway, our last day started around 10 after we finished breakfast. We headed back to our hop on hop off bus and went to the museum island, where all the main museums are..what a smart idea..you can even buy a combination ticket for multiple museums. 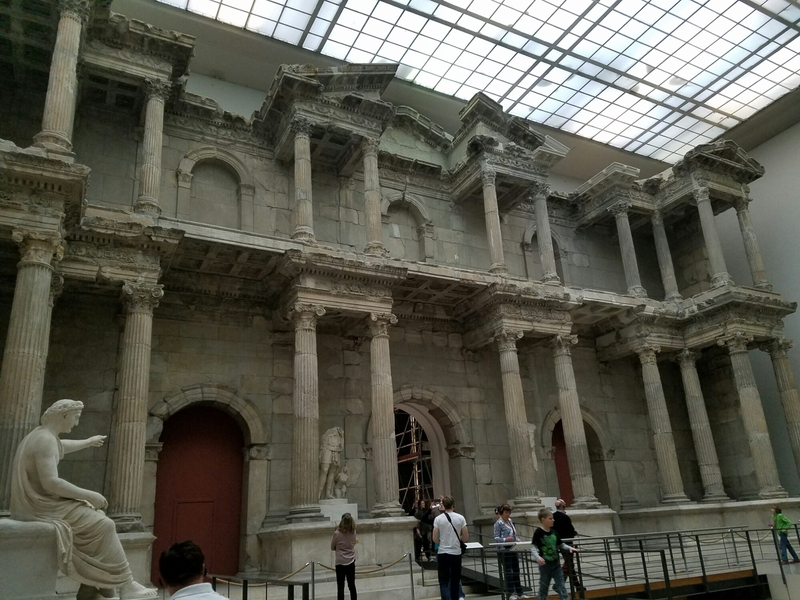 We wanted to visit one and I had done some research on the most popular and it was called Pergamon Museum that has artifacts from Mesopotamia, Syria and lots more. 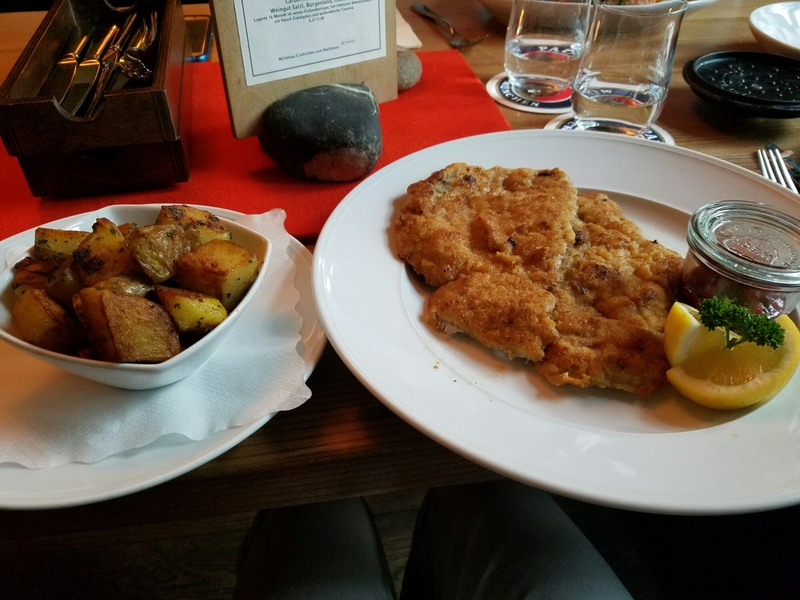 We looked around and then went up to eat… I got the most yummy cheeseburger and my husband got a weiner schnitzel… his was okay… but mine was great! 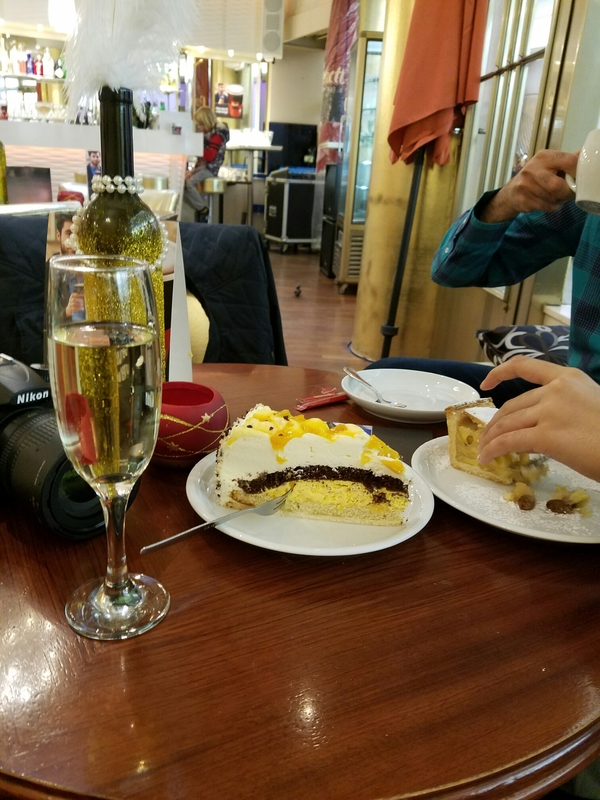 We had a delicious Rose wine with our meal and finished it with a delicious chocolate mousse… picked by my daughter… overall, it was a great experience. We came out after a while and decided to walk around a bit and do some shopping. 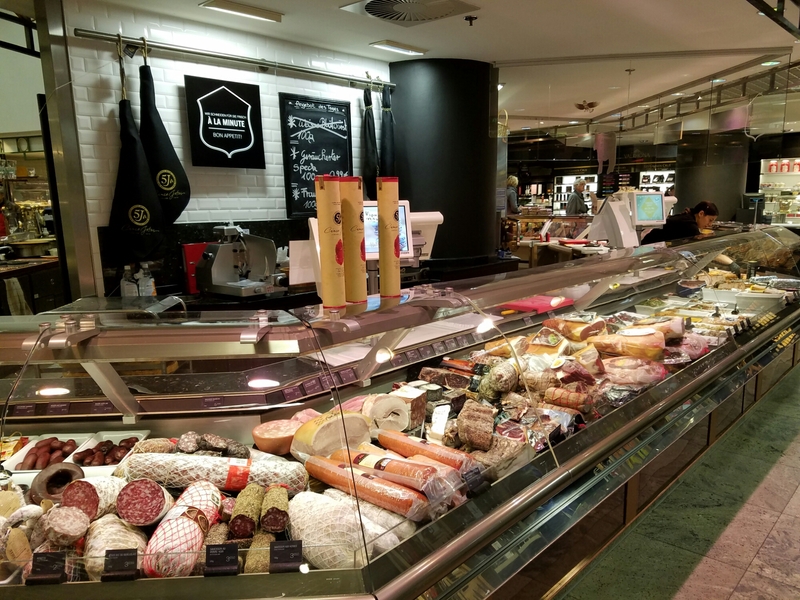 About an hour later, after visiting a grocery store- which is a must when I go to any city, we returned to our room. We bought a bunch of small wine bottles from the store as the wine here like other European cities is yummy and cheap! Day 2 began with a very sumptuous breakfast at the hotel- I ate fruit, yogurt, cheese, egg, sausage, bacon and amazing bread- I know what you are thinking- what a pig!! 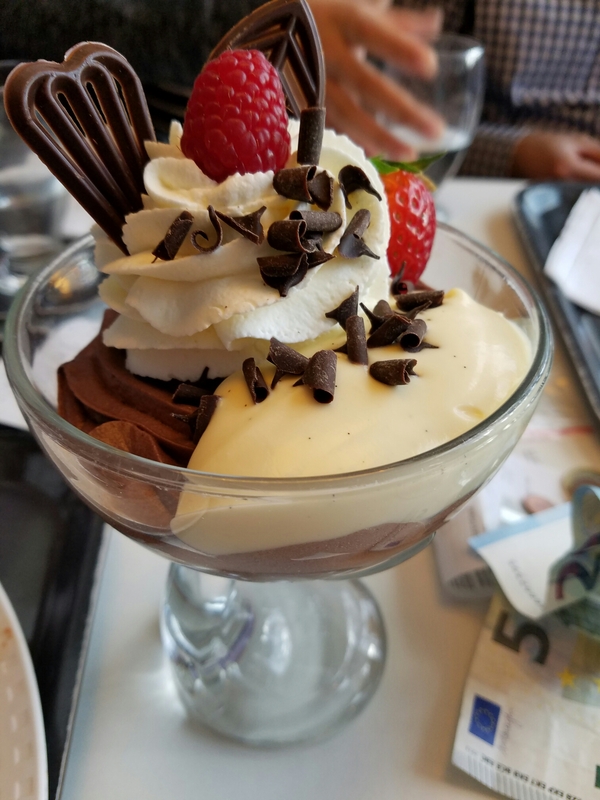 I know… I can’t help myself.. don’t worry, I will make up for it once I get home- exercise and portion control will be the theme of the week. 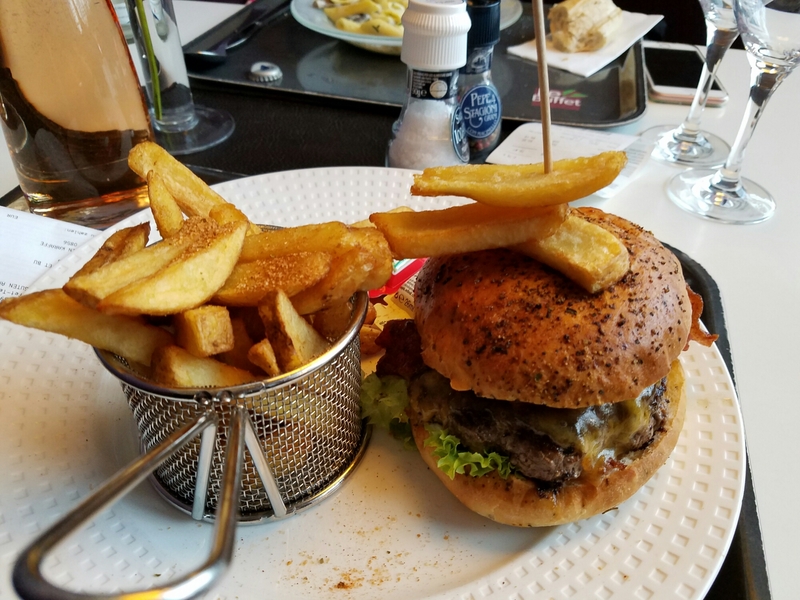 Anyway, after 2 cappuccinos and very full tummy, we made our way out of the hotel to figure out what to do… it was forecasted to rain in the afternoon, so we decided to do the hop on hop off bus for 2 days so we can be on the bus seeing the city while it rained. We got on and got off periodically enjoying all the sights. What a huge city… wow! We enjoyed a drink and a quick snack and went back on the bus to finish our tour. 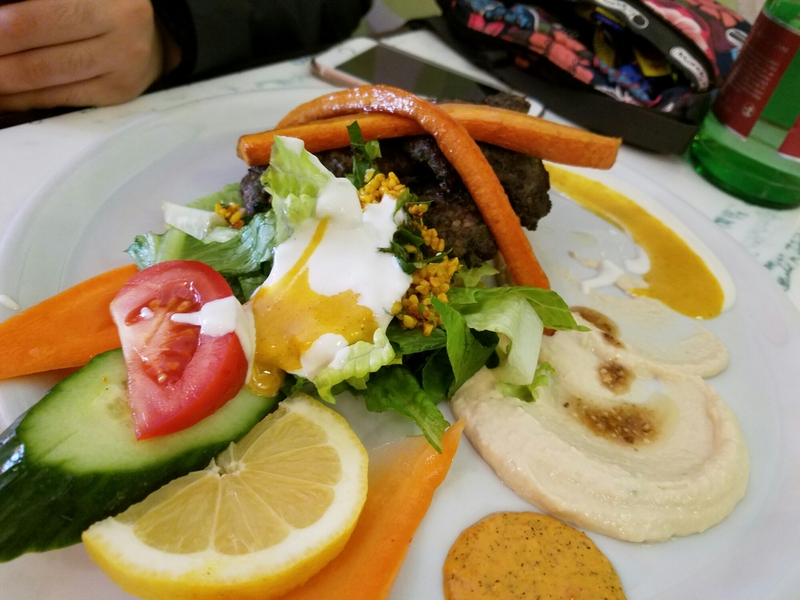 While on the bus, I continued to research a place for dinner… for some reason, I kept going back to a Syrian restaurant that was very highly rated- very modest but really good, said all the reviews. 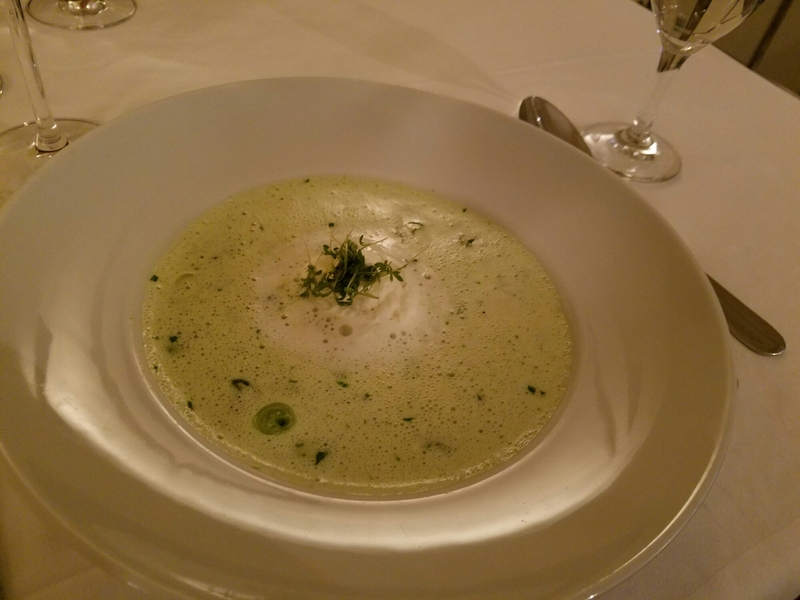 It was called Yarok…It turns out, it was a bit out of our way but we decided to try it out. We walked for a good 30 minutes as it had stopped raining and walked through some very interesting neighborhoods, filled with great restaurants, salons, cafes and bars. Finally we reached our destination and were welcomed by a very friendly guy who sat us down in a very small space, probably enough for just 20 people. We ordered 3 plates of different combinations of kebabs and falafel…. 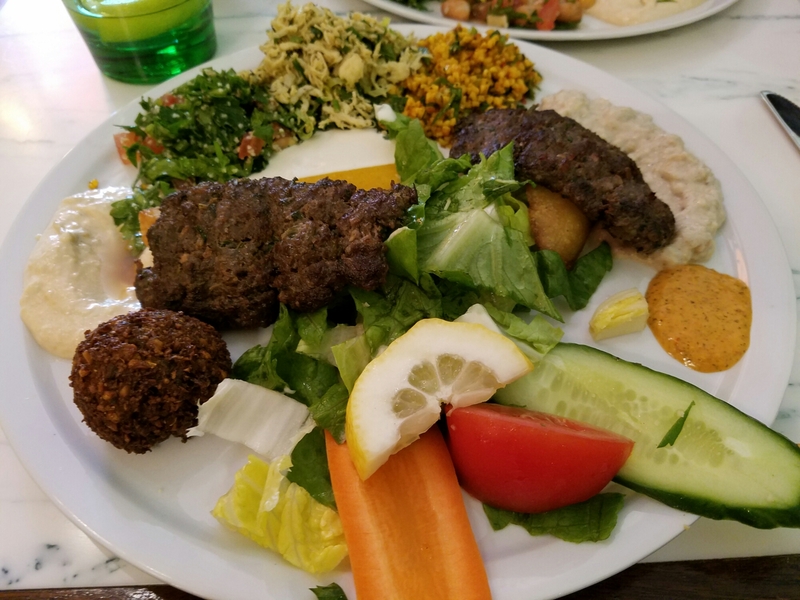 they all came as as platters filled with the meats, fritters, baba ganoush, hummus, tabouleh and lots of greens and some fried potatoes- overall, it was amazingly delicious!! 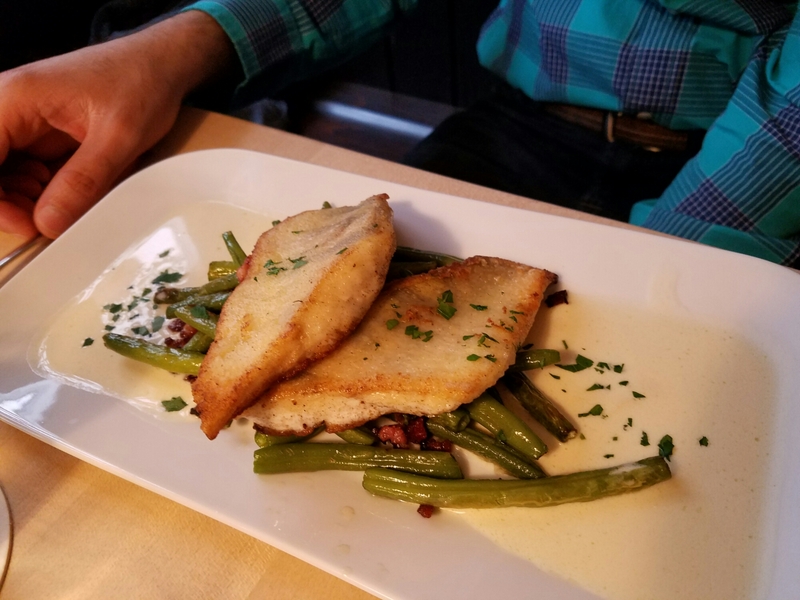 Fresh and flavorful- we were so happy to have found this little gem!! 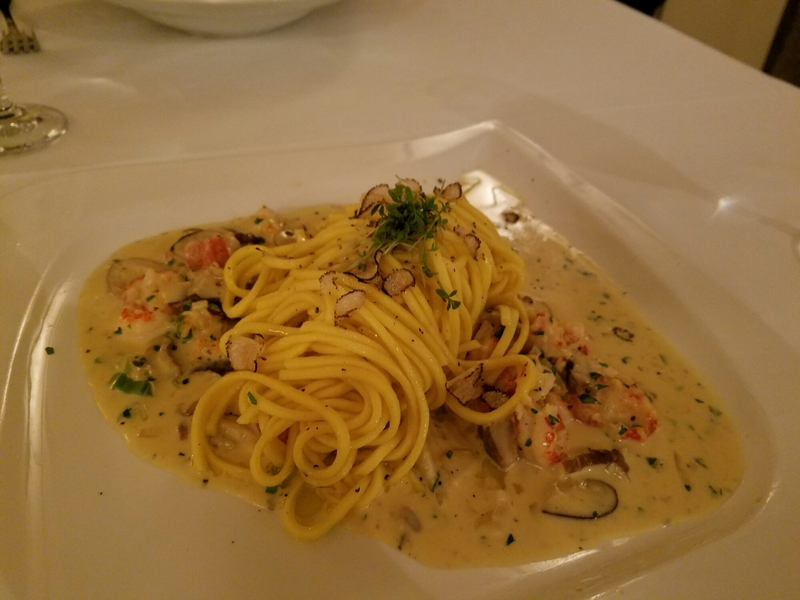 It is amazing how having a great meal can end a good day on a great note! We were tired and decided to take an Uber back and relax in the room and get ready for one last day in Berlin!! So, we caught a noon high speed train from Nuremberg to Berlin. 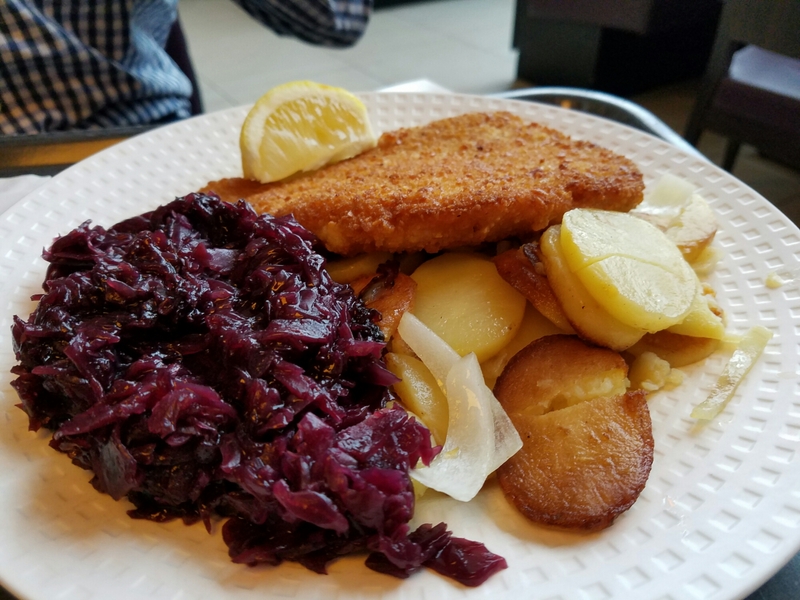 We had indulged in a huge breakfast at the hotel so we were not anticipating hunger..but I did buy some potato chips to enjoy with sekt(German sparkling wine), which I have discovered on this trip…it is delicious and best of all, it is very reasonably priced! The journey was 5 hours, so I watched some shows I had downloaded from amazon…did you know, if you are a prime member, you can download a whole variety of shows on your device…all you need to do is download the prime app and you are all set..plus there are some really good original amazon shows…perfect for travel. Anyway, after watching some shows, a nap, a glass of wine and some chips, we arrived in Berlin! 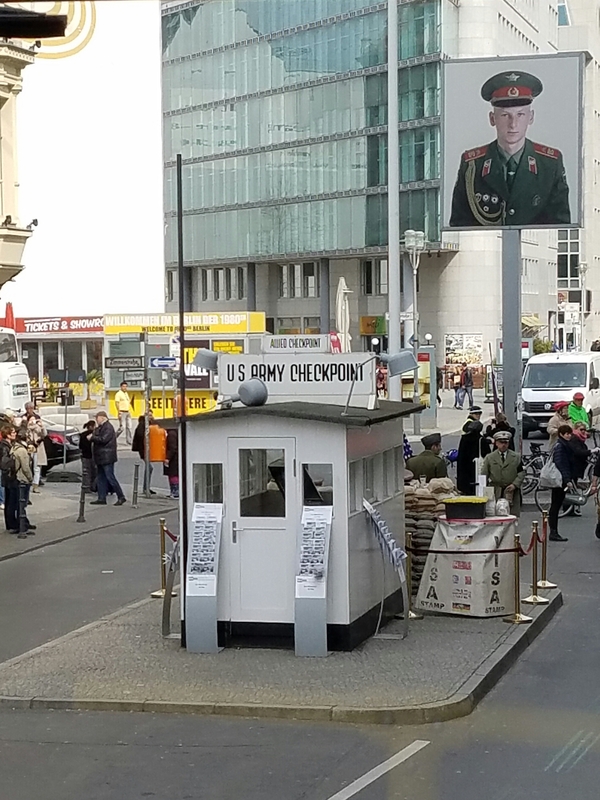 My husband had described Berlin as a vast, well planned city….and it was very apparent as we came out. What a contrast…with all the places we have been to in the past week…. Anyway, I digress…we got to our hotel, unpacked a bit and decided to venture out a bit before finding a place for dinner as it was already around 6 pm. Berlin has no city center as it is a very vast city and has a bunch of different neighborhoods… we were staying in the bitte neighborhood know for shops and restaurants- more of an up and coming area….As I mentioned, Berlin is huge and everything is farther away than it looks on the map- we walked around a bit and then decided we wanted a change and were in the mood for some Asian food. 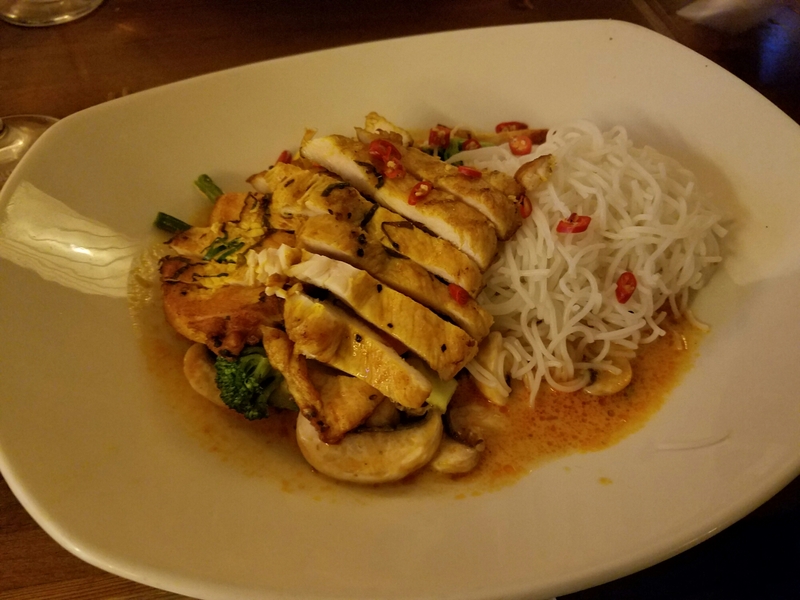 We found a great, highly rated Thai place and started to make our way there… it took us a bit to get there and when we did- it turns out, the eatery was closed permanently… what??.. 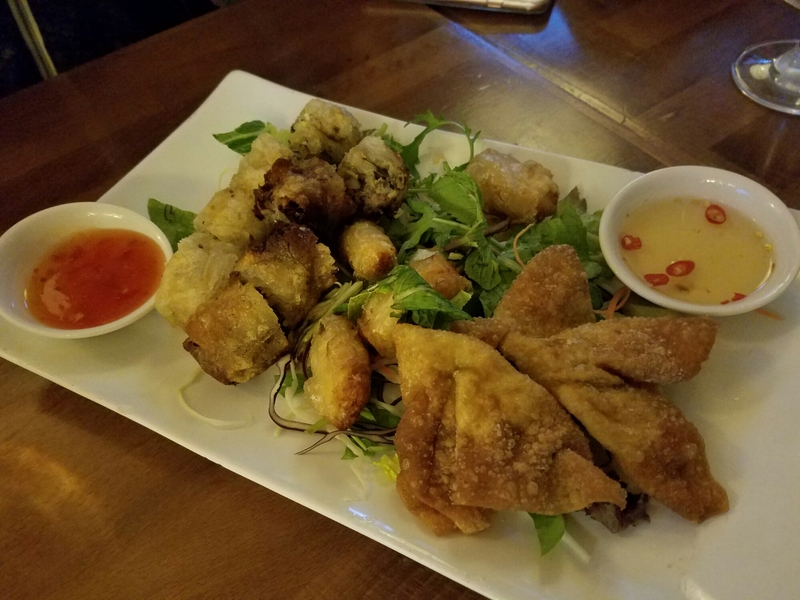 we were quite disappointed.. we then decided to find the best place we could close to where we were and that was Otito, a Vietnamese and Japanese place- turns out, in Europe, a lot of Asian restaurants consolidate a bunch of Asian cuisines and serve it under one roof! Well, we figured out the owners are Vietnamese and not Japanese and decided to order Vietnamese dishes.. 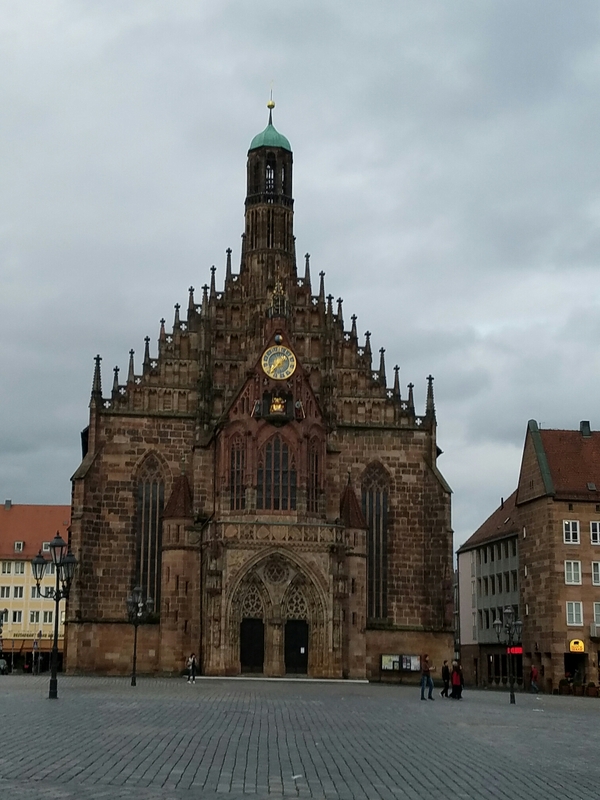 I woke up at 6:15 to get ready, have breakfast and walk over to the train station to catch a train to Nuremberg- sleep is over rated on vacation! We had to change in Munich and finally got in around noon. 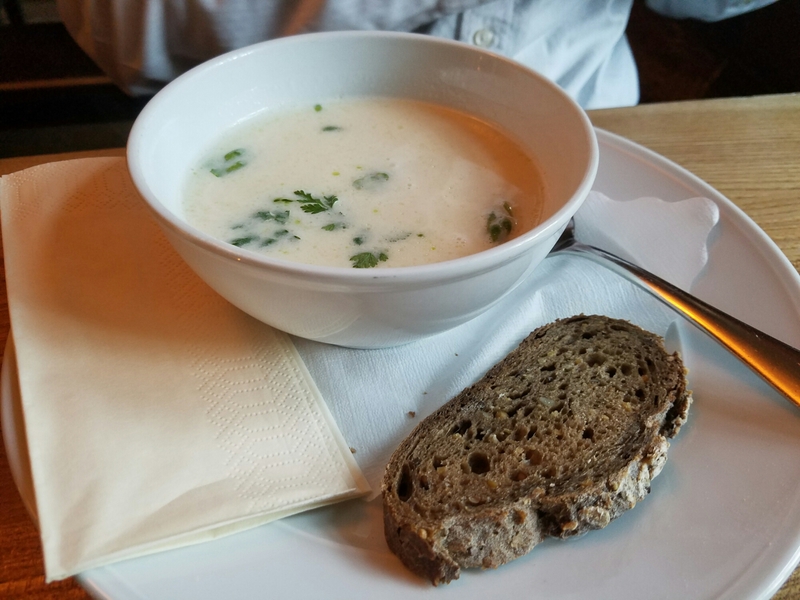 Yet again my dear hubby had done amazing research and booked us in hotel Drei Raben which was literary ten minutes walking…right in the old part of town. Our room was not ready so we decided to drop our luggage off in the hotel and go to the Documentation Centre Nazi Party Rally Grounds….which was fascinating…it took us a few hours there as it is a vast museum. 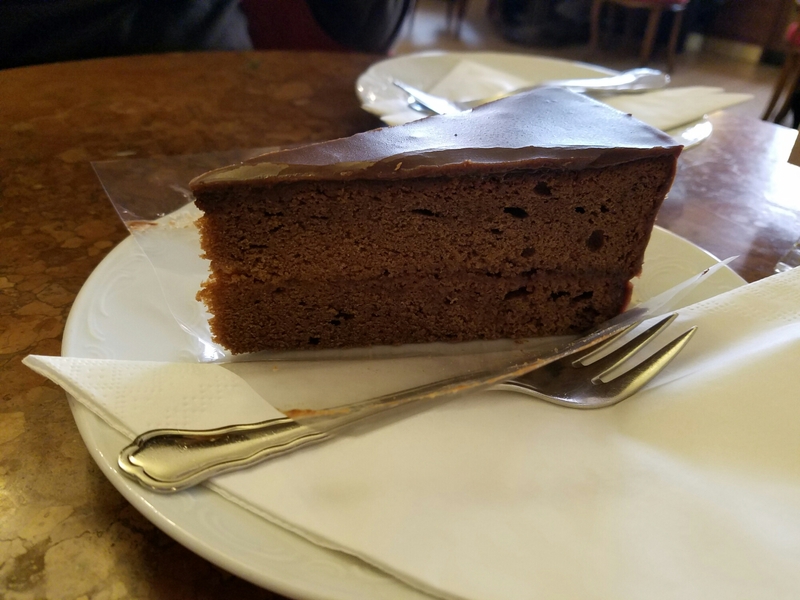 We came back to the old town and decided to go for a snack as we were a bit hungry…opted for a cafe that served Prosecco and coffee and cake, of course…we opted for an apple cake and a pear cake…so good! We then came back to our hotel as it had started to rain….we took an hour break in the room and came back out once it stopped raining. We just walked around everywhere in the old city- it is an old historic city, quite small and not very populated. It kind of reminded me of Edinburgh… maybe because it was kind of chilly and rainy.. overall, a very nice place. Albrecht Duerer Haus. 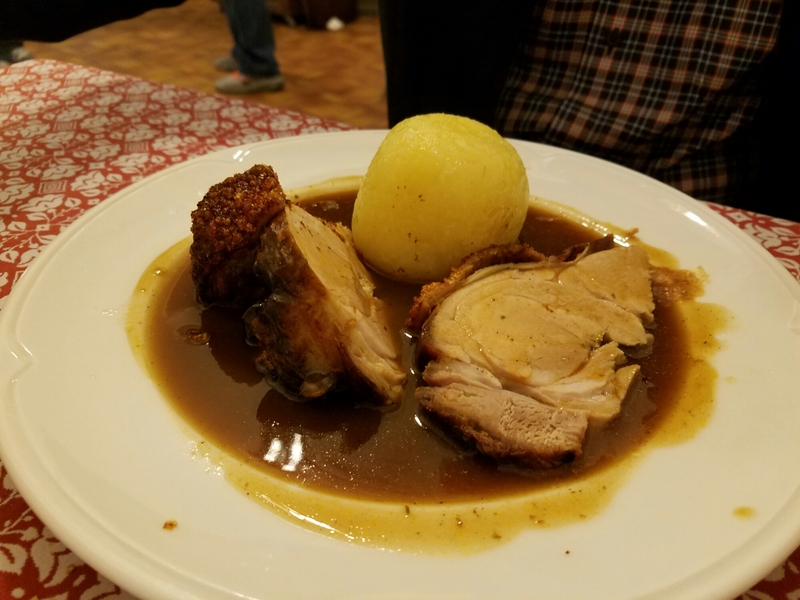 It was a very traditional German, cozy space inside with very friendly owners. 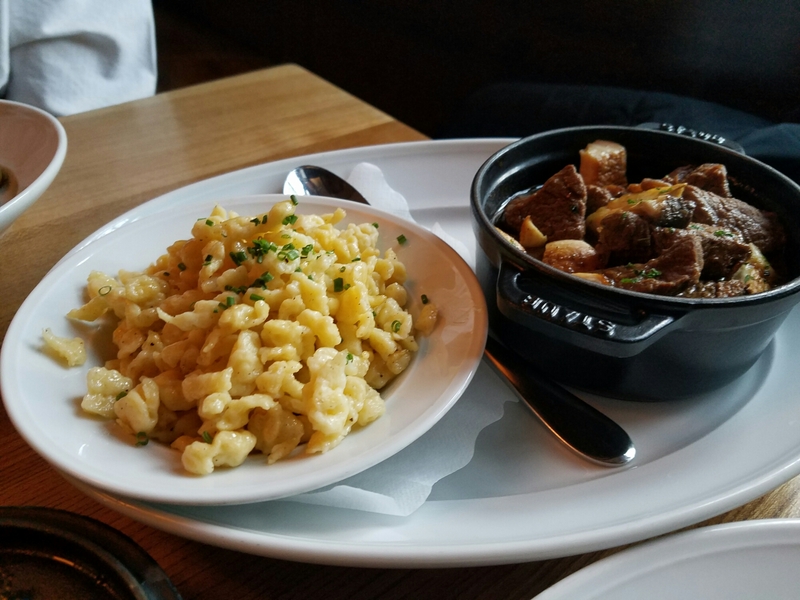 We ordered their popular potato and bacon soup, bratwurst lasagna and a perch (fish) dish. All the entrees were very delicious. We had beer and house wine which was excellent as well. Overall, it was a great day- yet again… we walked back to the hotel where they were serving a welcome drink- a delicious glass of white wine for me. We sat in the lobby and relaxed a bit before making our way up to our room. We have a noon train to Berlin tomorrow, so we have a bit more time to walk around the city in the morning… Looking forward to Berlin!! Salzburg, When Can I Come Back? So here we are in Salzburg- believe it or not, I have never been here before. I was really looking forward to it as I am a huge Sound of Music fan and want to come back for a full tour- I don’t care how cheesy it sounds. Our day started at a decent hour as our train from Munich was around 11:30… we made our way to the station and go on the train. 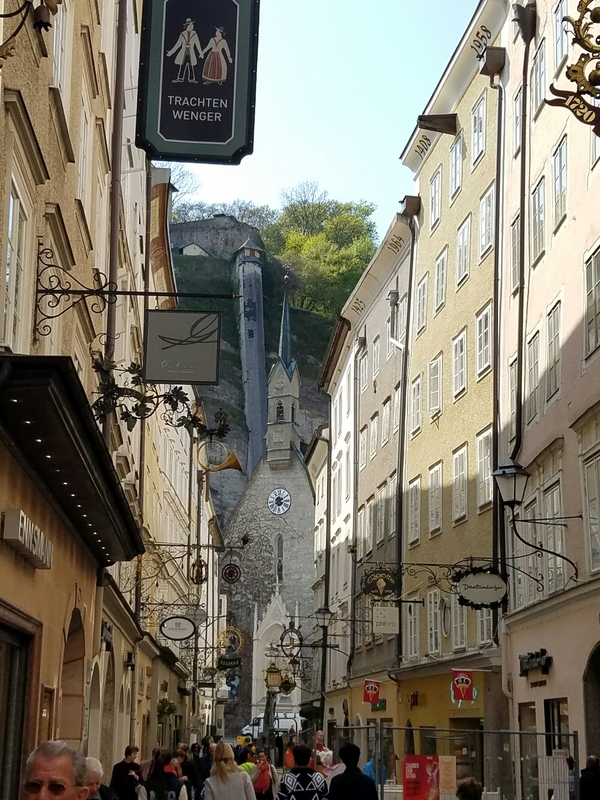 In about 2 hours we were in beautiful Salzburg..again, we are staying walking distance to the train station…definitely very convenient- Crowne Plaza… and we are a 10 minute walk to the old town. I think when I come back, I would like to stay on the other side of the river, closer to the old town, although this location is very good. 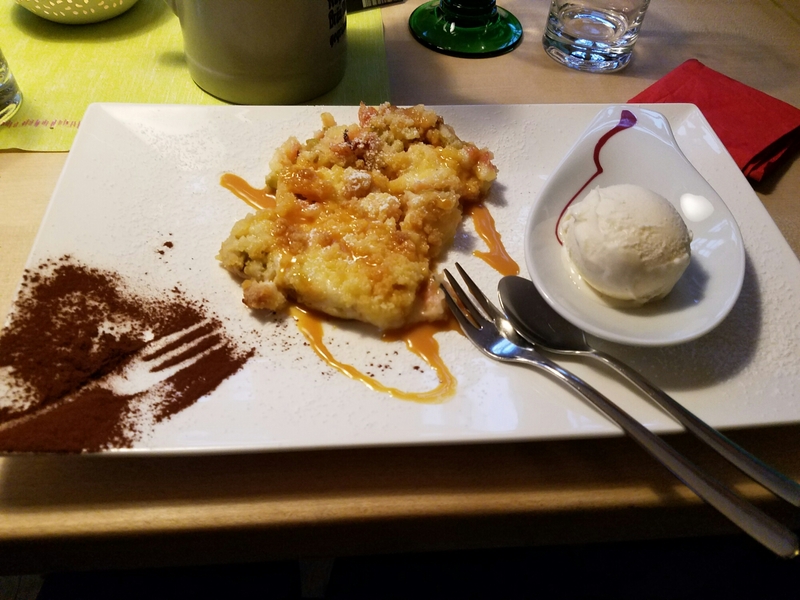 Overall, our short stay in Salzburg was amazing and I am definitely coming back… great city, yummy food and friendly people- what else does one want….off to Nuremberg tomorrow!! The next morning started kind of early as we had to catch a train to the Neuschwanstein Castle which is a good 2-3 hours away from Munich. We got ready and walked over to the train station, picked up breakfast and cappuccinos and made our way to the train. Turns out our hotel offers tours of the castle but we decided to do it ourselves. We got train and bus tickets from the train station. 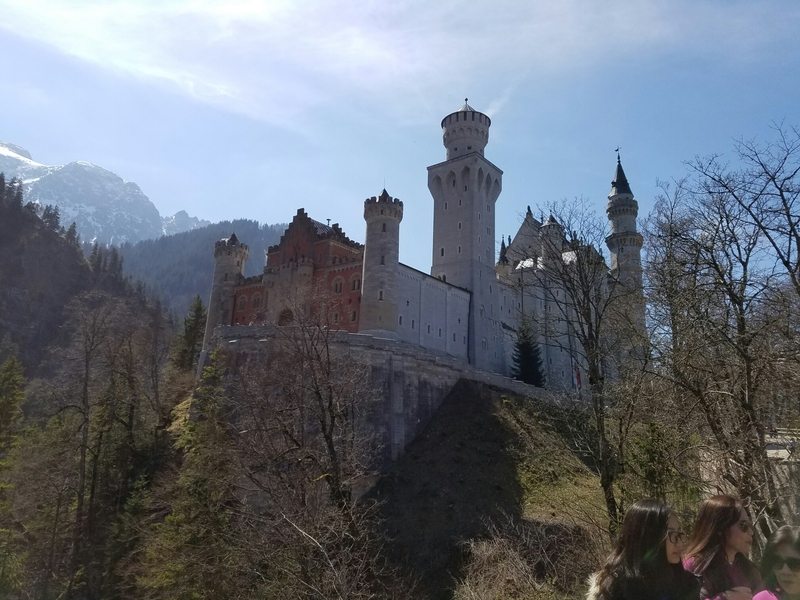 The train takes about 2 hours and brings you to a town called Fussen, from there you take a bus to the base of the castle from where you buy tickets for the guided tour. The tour itself is only about 30 minutes, so not very long. Overall the castle is majestic from the outside with amazing views, the inside is okay. I think it is recommended to reserve your tour time online 2 days earlier- that is a good idea in the high season, in the summer time. For us, it was not necessary as April is not considered high season. We finished the tour and decided to sit for a snack in an outdoor cafe. 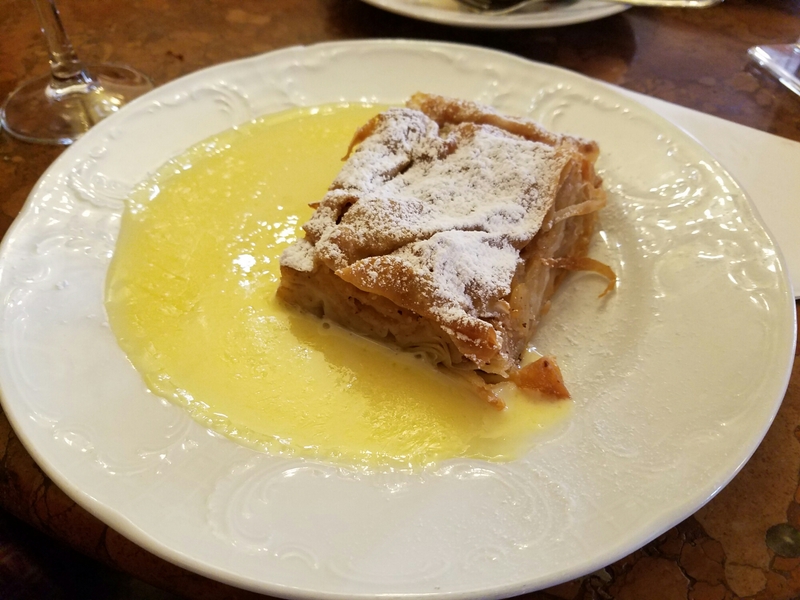 I decided on an apple strudel with warm vanilla sauce- omg, it was the most delicious thing ever! 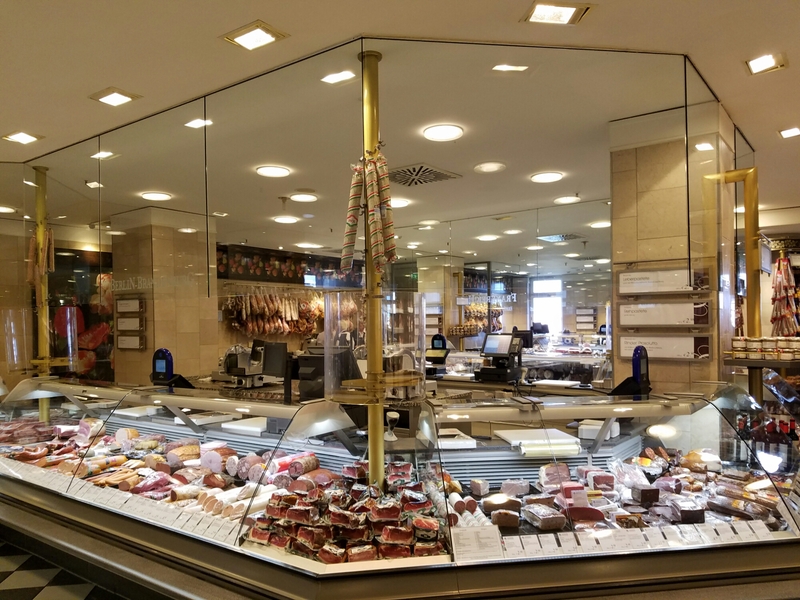 We caught the train around 4 pm back to Munich….time to research restaurants for dinner! 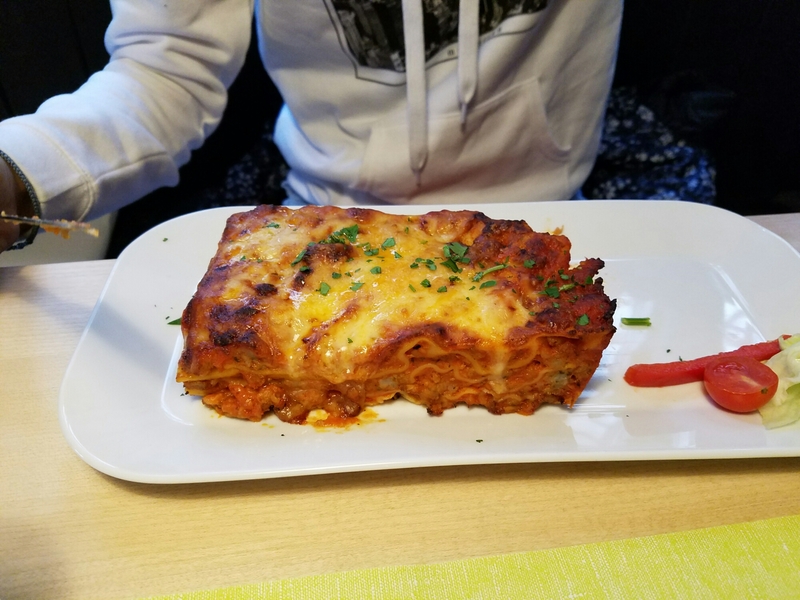 We looked around a bit and then made our way to the restaurant. 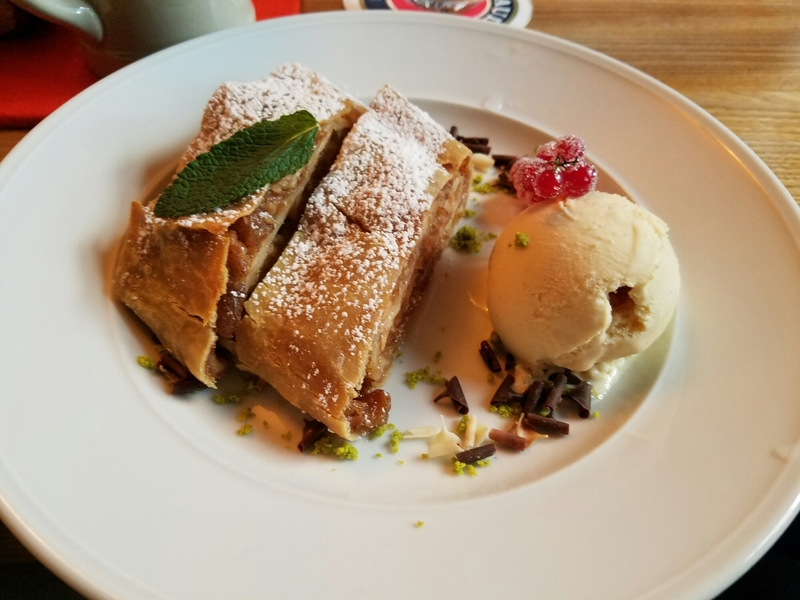 We ordered an asparagus soup with basil and garlic pesto, a trout with potatoes, a weiner schnitzel and a goulash with spaetzle… all the food was yummy… we ordered a bottle of riesling, also yummy and then a plate of apple strudel with ice cream- also very yummy!! It’s our last night in Munich… we walked around a bit more and made our way back to our hotel- it was a lovely stay… off to Salzburg tomorrow! We are here after a quite comfortable flight… we flew Lufthansa, which is far superior than United. The service is way better and so is the coffee they serve in the morning before you get to your destination. 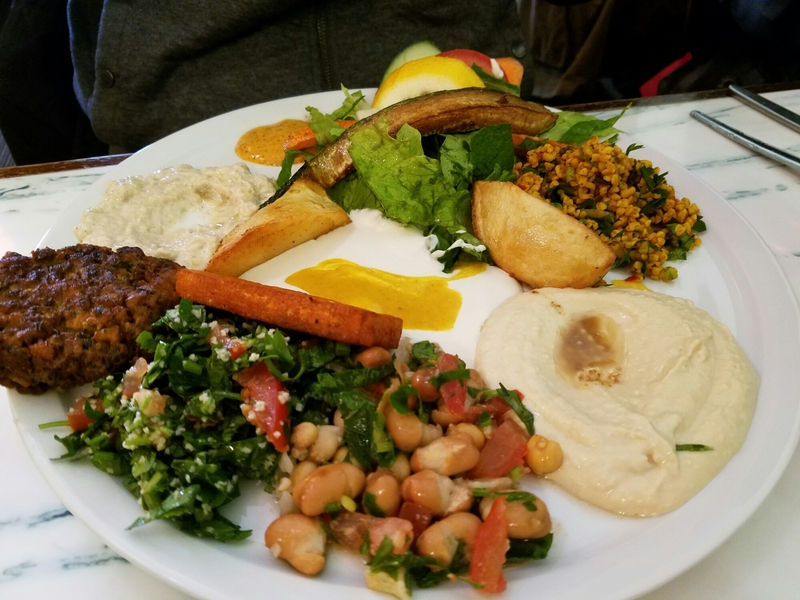 I had a conversation with an ex-flight attendant about how much she traveled all over the world and how she kept healthy while flying so much. Her secret– keep hydrated and don’t eat the food on the plane! Yup, that is what I try to do. 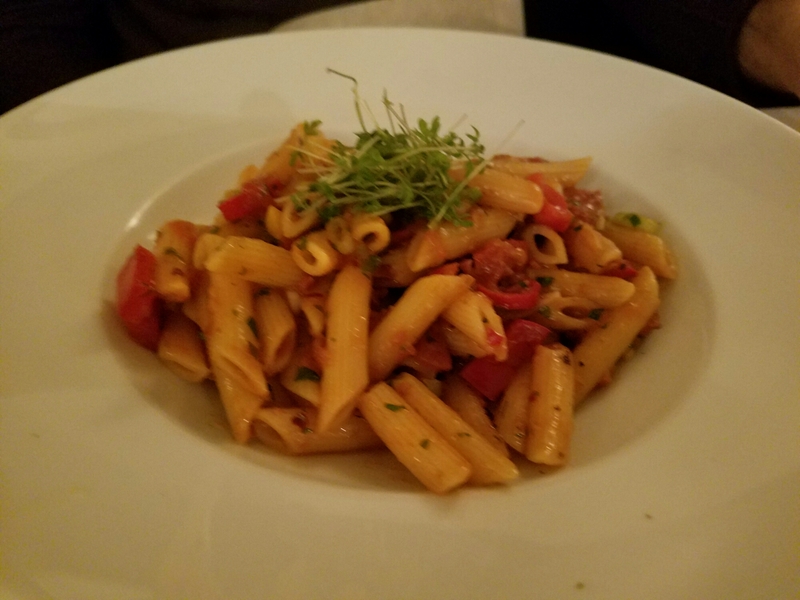 We ate dinner before we left home, and then had some snacks at the lounge… I did have a glass of wine and picked up two 1.5 litres bottles of water. On the plane, I had some crackers and cheese and finished one bottle of water during our journey- the result was quite good. I was tired but didn’t feel like crap once I got out of the plane. I was ready to go out and start the day. I didn’t feel dry and horrible as one often does after a long plane ride. 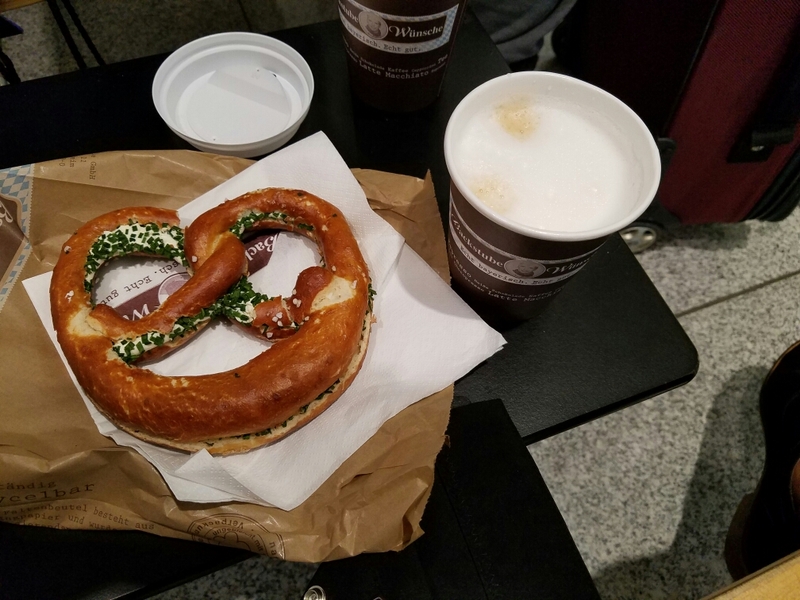 First thing I did was to buy a delicious pretzel and a cappuccino! I love the pretzels here- they slice them in half and serve them with butter or cream cheese and chives- yum!!! I had the one with cream cheese. 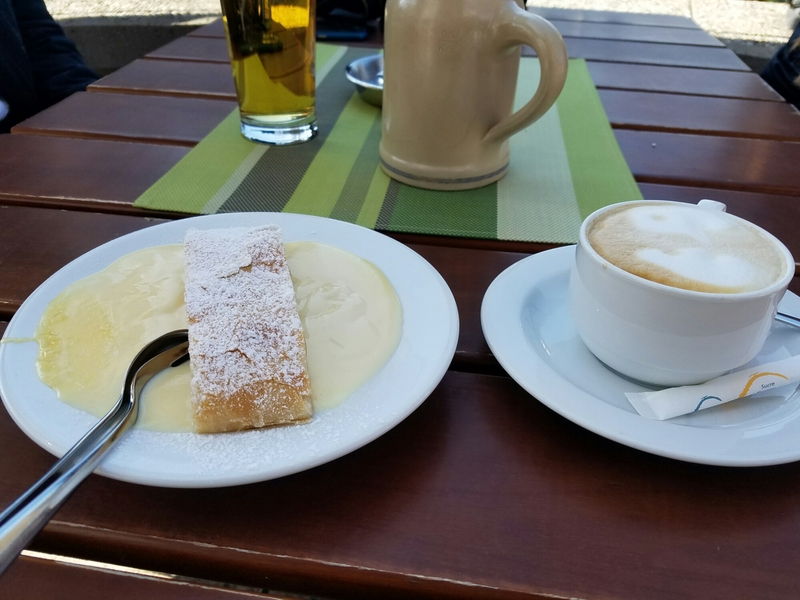 It was a great way to start our vacation in Munich… yum! We made our way to the train to get to city center and hotel. After checking in, unpacking and resting a bit, we ventured out. So, I am not a beer drinker- not at all…. 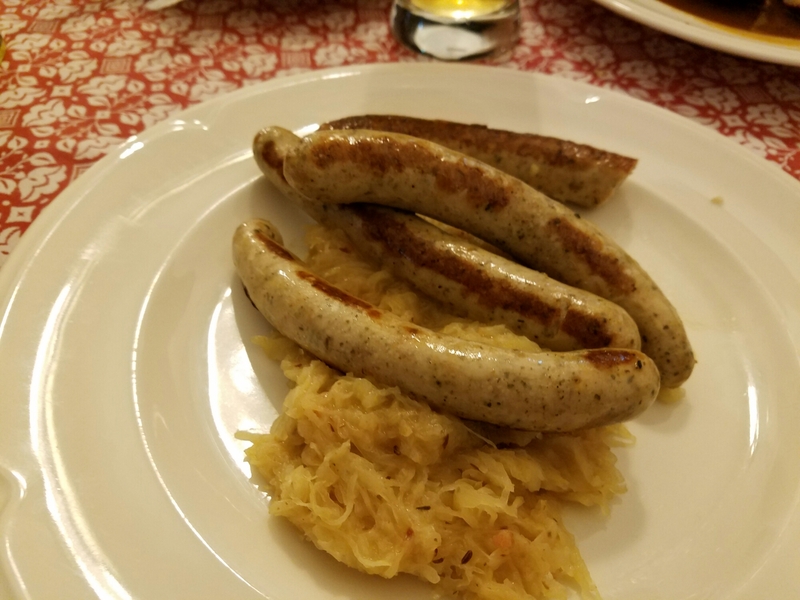 My husband, of course was very excited to drink one of his favorite beers- Bavarian! 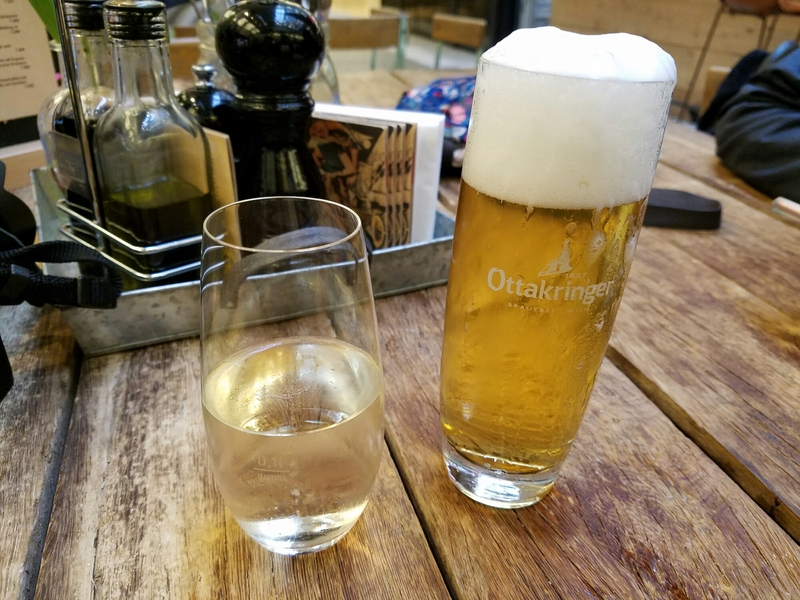 I, on the other hand, ordered a glass of champagne… I know… probably not the best thing to drink in a beer house but it was actually quite good. 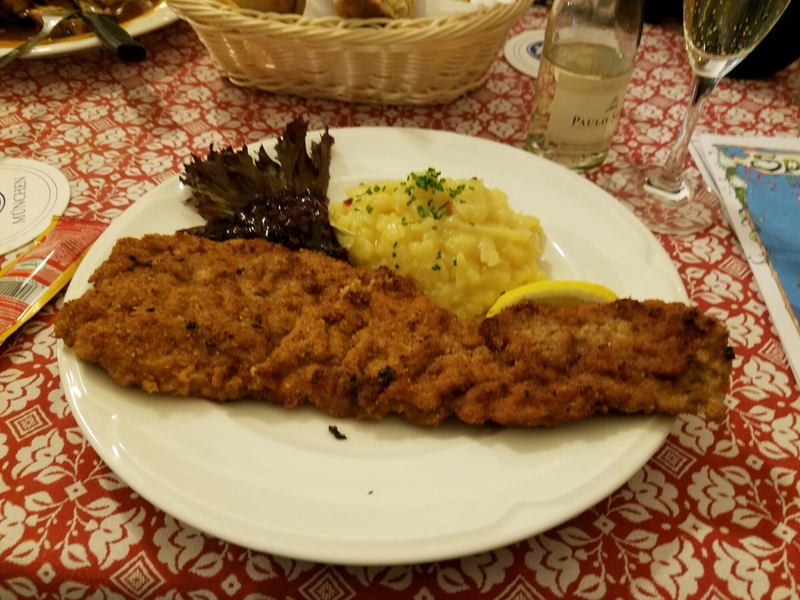 Our waiter wasn’t too happy with me but who cares… as far as I am convinced the best thing to eat with wiener shnitzel is bubbly!! As I mentioned before, we took a train from the train station to the center of town. We are staying at Le Meridien– very conveniently located close to the main train station. 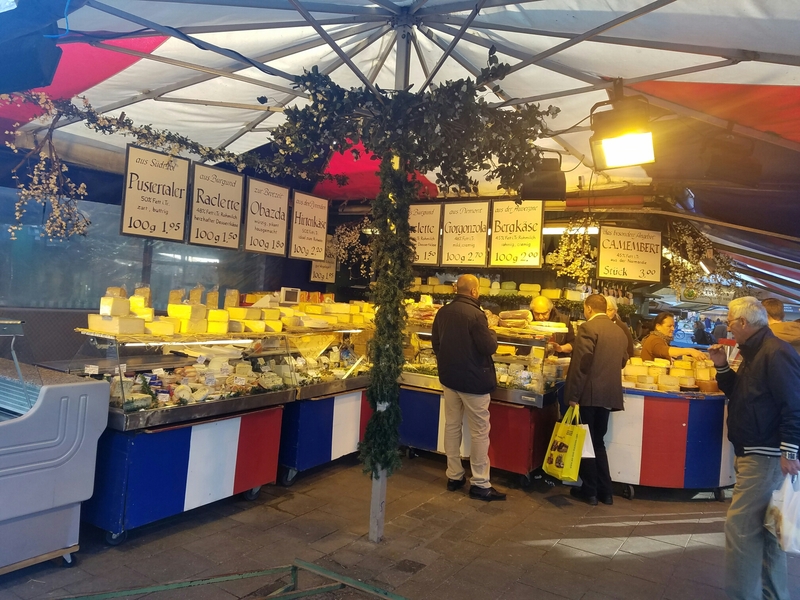 We do quite a bit of research to find a hotel in a great location where we can catch public transportation easily or everything is walking distance. 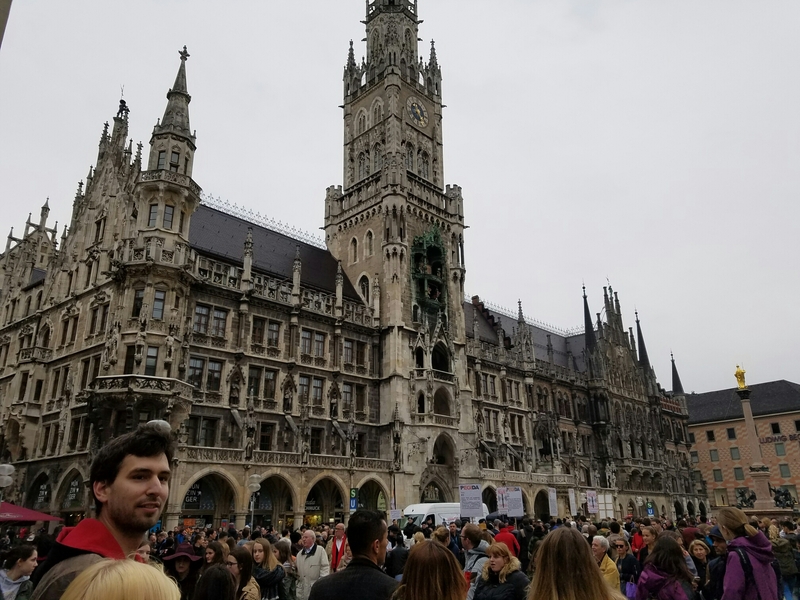 In this case, we are able to catch a train to the main plaza- Marienplatz… or we can walk- 15-20 minutes. Staying in the right location makes the stay a lot more easier. We finished day 1 by taking an evening stroll in the main area and stopping at a cafe for some dessert. We chose a delicious vanilla cake covered with a layer of yummy berries. 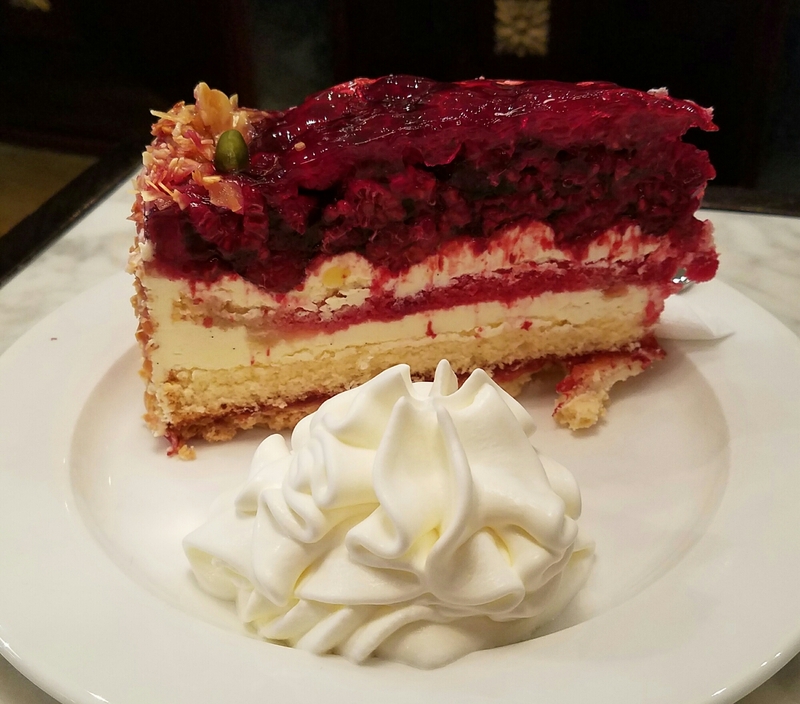 I ate it with a glass of Prosecco- I love how cafes in Europe serve alcohol and coffee. All in all it was a good day. Tomorrow will be a lot of walking and looking around. We woke up around 9 am…walked out to get some breakfast and brought it back to the room…got dressed and ventured out. Turns out, one can buy an all day ticket that can be used for traveling on subways, buses and trams- it was very convenient as we went all around using different forms of transportation. We went to some museums, some cathedrals, walked to the top of a bell tower to get a view of the entire city. 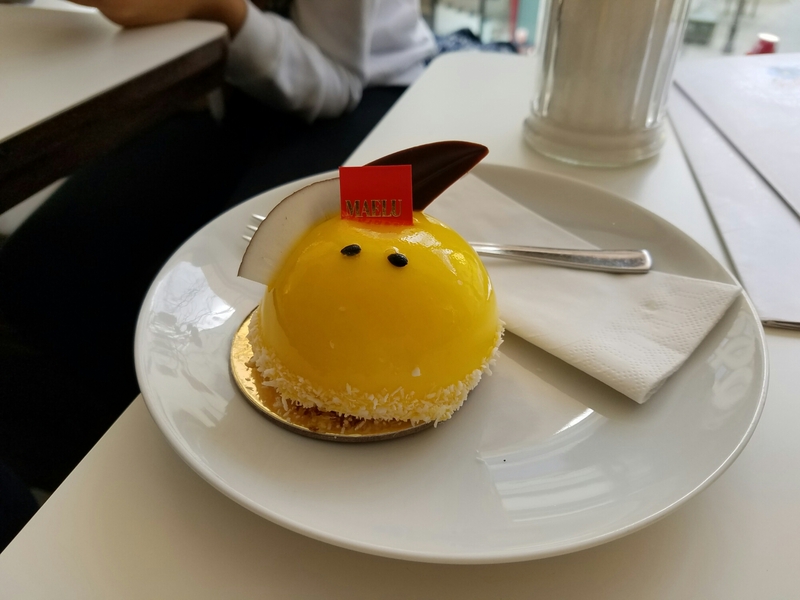 We then sat down for a light lunch/snack at Maelu, as breakfast was kind of late… I enjoyed a bit of a prawn sandwich and the most delicious passion fruit pastry- with a layer of coconut and hazelnuts at the bottom… yum! 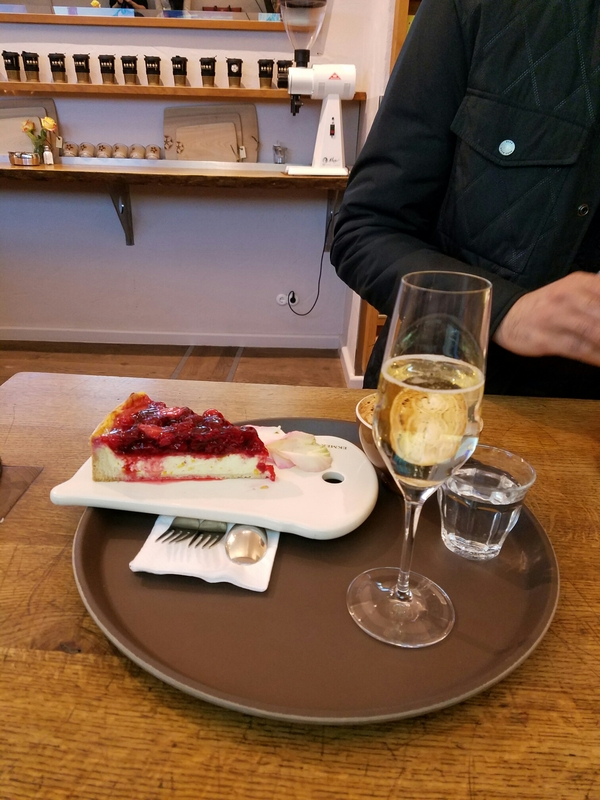 I washed it down with some Prosecco- yup.. it seems that is what I will be drinking on this trip and why not… life is too short not to enjoy bubbly everyday!! After some more walking and exploring, we came back to the room to rest a bit and buy tickets for tomorrow’s adventure- we will be visiting the famous castle- Neuschwanstein! We walked out for dinner and decided to go to a place called Opatija which is a Balkan, German and Italian restaurant. We decided to give it a try as it had pretty high ratings on Trip Advisor. 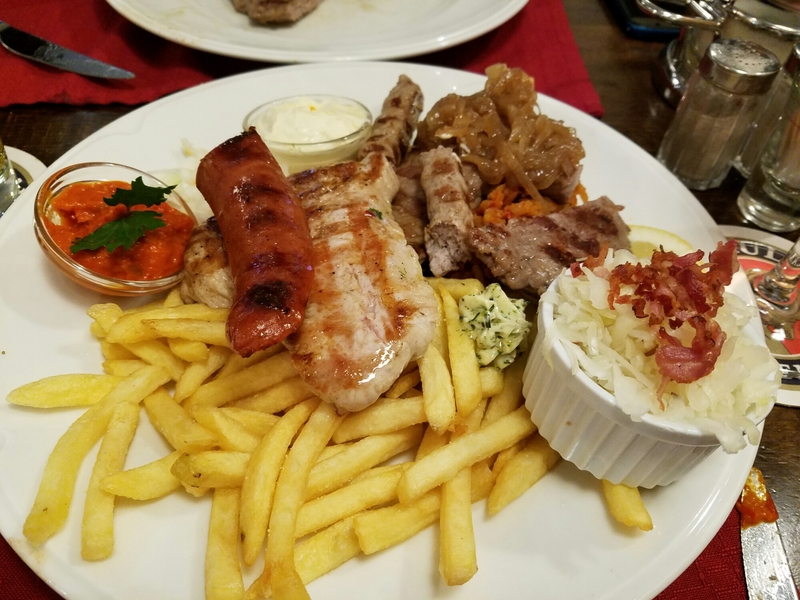 It was pretty good- they had big portions so we shared a few things including some salad and a combination platter that included a variety of traditional Balkan grilled meats, rice, coleslaw and some yummy sauces- overall, it was quite good. We finished the night off with a delicious gelato and took the tram back to our room. Can’t wait to explore tomorrow!